So, what’s new for the 2018 Mini? The front lights are now all-LED units (with fancy Matrix versions an optional extra), and the LED running lights now go all the way round the headlamp units and turn into the indicators. Very smart. There’s also a choice of three more colours, some new alloy wheels more options for personalisation (more on that in a bit). The biggest news, and surely the biggest source of conversation, will be the new lights at the rear. 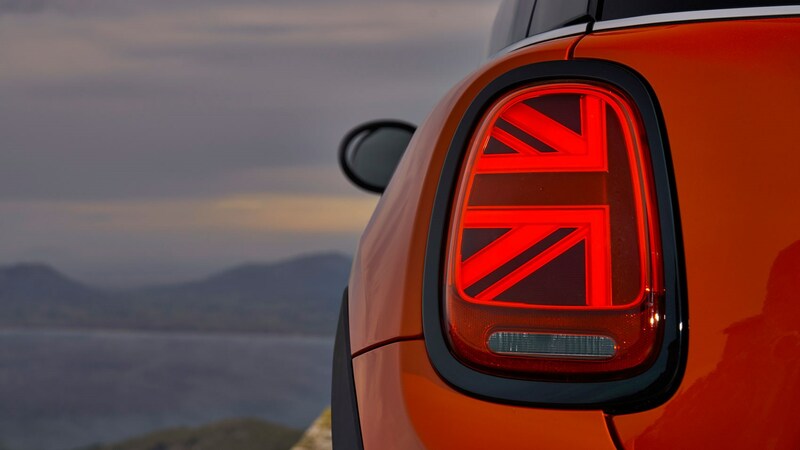 That’s because, instead of a regular set of swish LEDs, Mini has decided UK buyers have forgotten where the car is from, and made them look like the Union Flag. Some will be horrified, some will be elated. Politics aside, they’re certainly eye-catching and aren’t as brash in real life as they look in the photos. Inside, there’s an upgraded infotainment system now incorporating Apple CarPlay tech, some new trim and seat options and the chance to go wild personalising the dashboard. The reason there’s so much scope for personalisation is the new Mini Yours Customised feature. The dash panel above the glovebox, the door sills, puddle lights and side scuttles by the side indicator can all be customised with 3D printing. Whether you want a particular pattern or your name, Mini will even let you design your own to make your car unique (within reason). Just don’t expect people flocking to buy it when you come to sell it on if you leave them in place. Not everyone wants a Mini called Geoffrey with a puddle light showing a picture of your family crest. Anything new under the bonnet? No. But that’s a good thing. Mini has – thankfully – kept its winning formula of punchy, eager engines and playful, entertaining chassis, meaning there’s still great fun to be had on a twisty country road. Take the Cooper S out on to the tightest of roads and you can easily fling it into a bend knowing it’ll make it out the other side. The combination of almost no bodyroll, weighty steering and wheels right at the edges of the car means it does live up to the ‘go-kart’ vibe they’re going for. The new seven-speed dual-clutch auto ‘box is available with this engine, but to get the most out of the Cooper S’s 192bhp engine, you’ll want the standard six-speed manual that’s great fun to use. Leave it in Sport mode and you’ll be rewarded with a fruity exhaust note that’ll pop and crackle on the overrun, too. That in itself counts for a significant amount of the enjoyment. It remains fairly grown up on longer journeys, though. It’ll happily potter about town and won’t be too upset by bumps in the road (as long as you avoid larger wheels), and it’ll pound the motorway miles with ease as well. 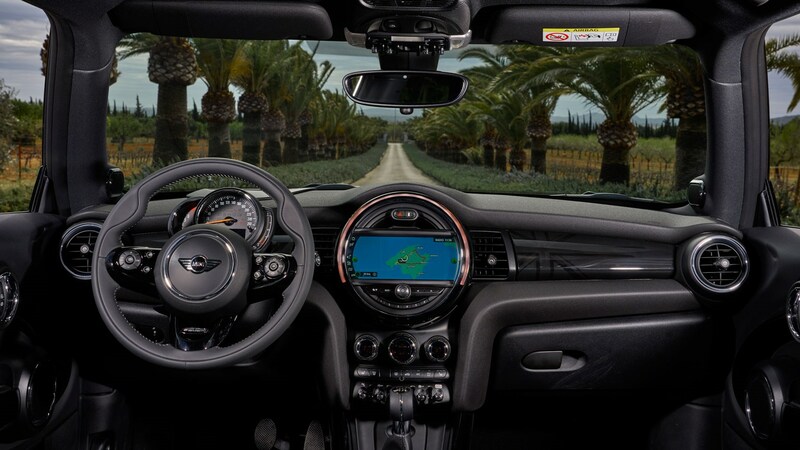 Any notable tech on the facelifted 2018 Mini? That long-distance ability is further aided by the amount of top tech available straight from the BMW back-catalogue. Pick the Navigation Plus Pack for a slick infotainment system with connected, online services and an excellent sat-nav set-up lifted from various (and much more expensive) BMW models and you won’t be disappointed. 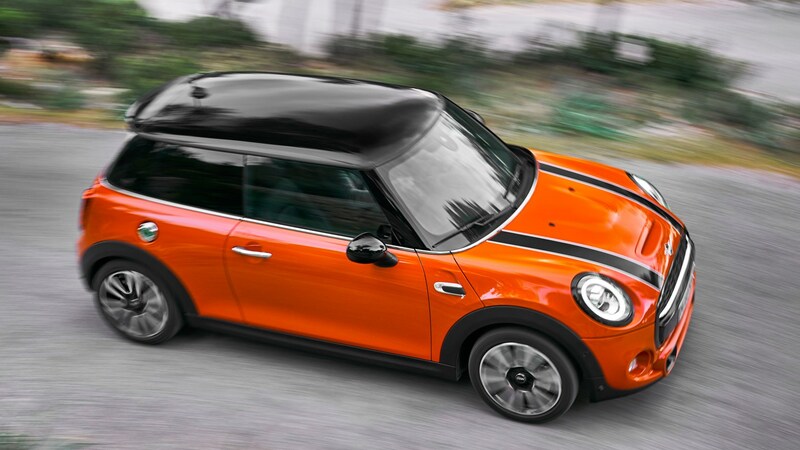 Mini didn’t need to change too much about its most popular model. Sales are consistently strong with as many sold in 2017 as in its debut year of 2014, so the brand would be mad to rock the boat. Instead, nabbing a bit of extra tech from parent BMW and adding a few more Mini quirks ensure it should retain its appeal for at least another few years.